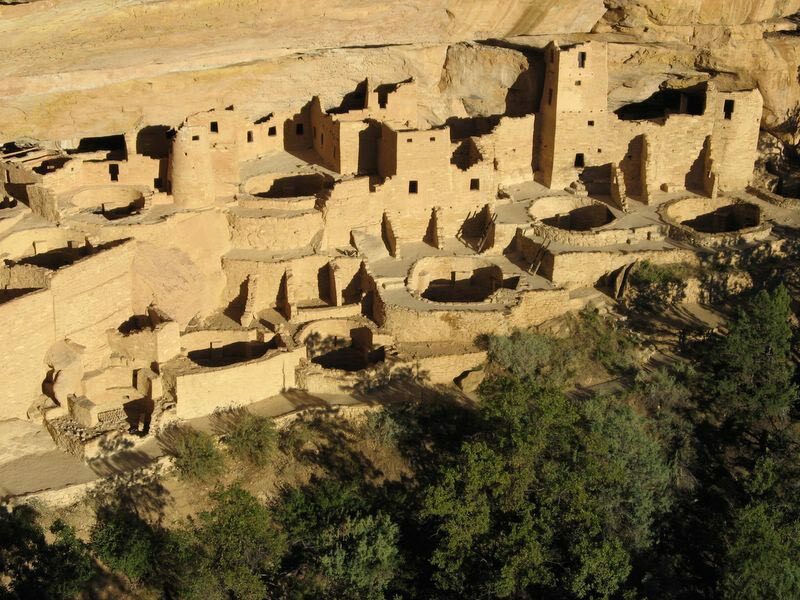 By the late 1270s, the population began migrating south into present-day New Mexico and Arizona. 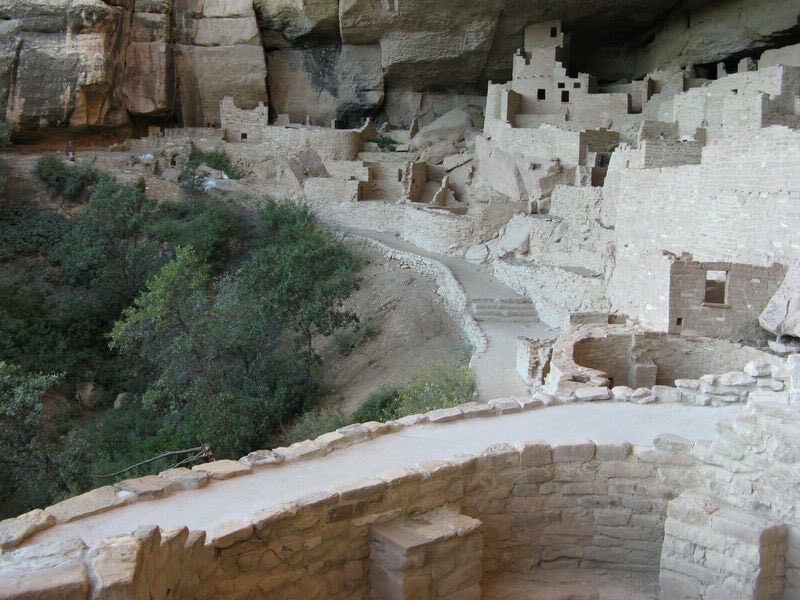 By 1300, the Ancestral Puebloan occupation of Mesa Verde ended. 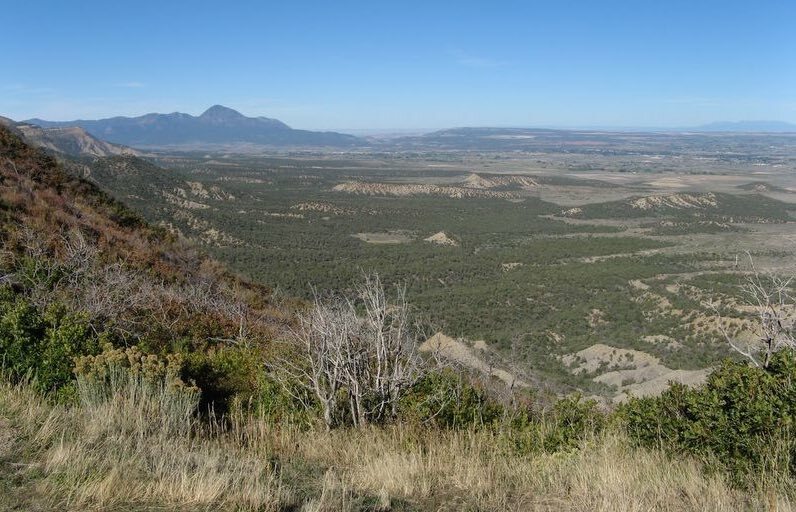 This shows a view of the surrounding land as seen from Mesa Verde National Park. 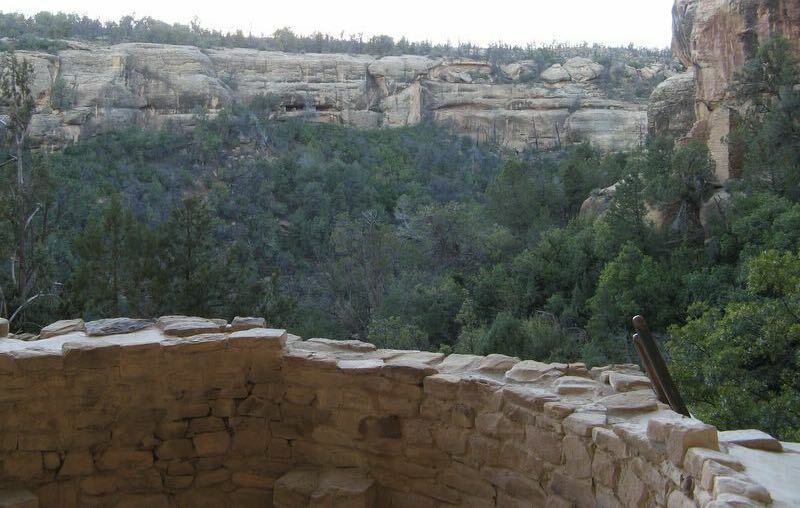 It isn’t so visible from the photos but the doorways are quite short. 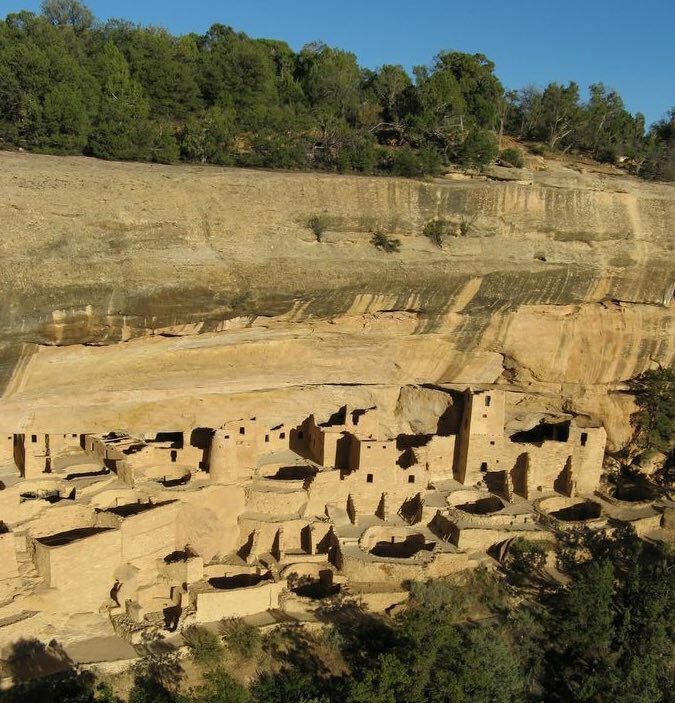 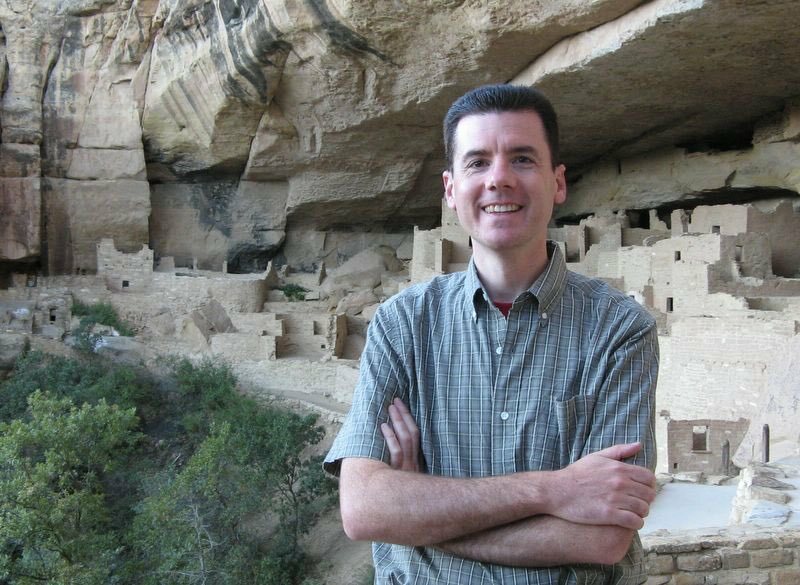 The builders of the cliff dwelling were shorter than we are today (Men were about 5’4″ tall while an average woman was 5′ – similar to an average European of the same time period).